First I must say that I can't BELIEVE how much I have to share in just 2 weeks time.. is that crazy or WHAT? So read below.... have fun.. START SOMETHING NEW... you deserve it! 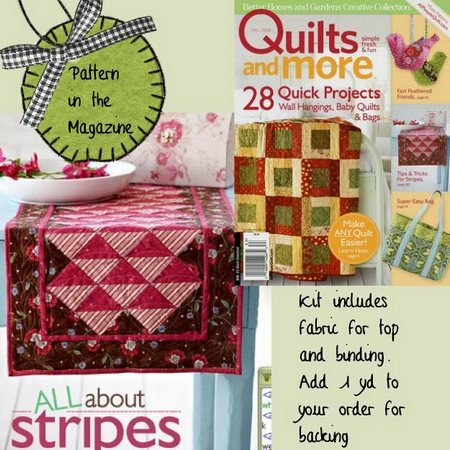 The Fall 'Quilts and More' magazine has my chocolate and pink table runner, with a neat trick for keeping those stripes all going the same way... woot!! 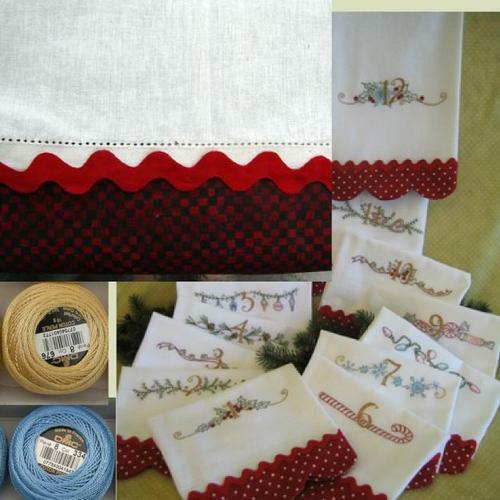 I have kits for the table runner (oh yeah! 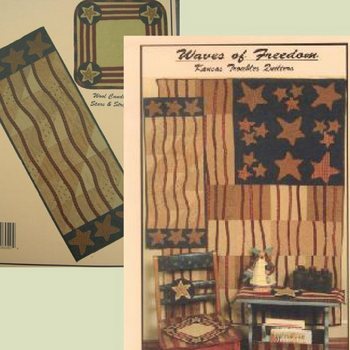 )...Your price is just $18.00 ... kit includes top and binding... add 1 yd of backing to your order and you are good to go! 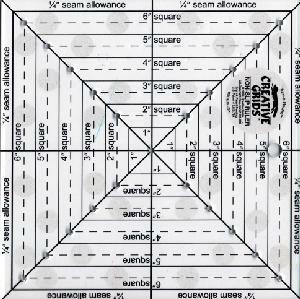 --A new ruler for squaring up blocks..it's pretty sweet! 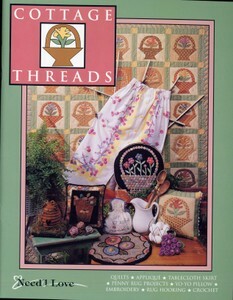 --And a pack of 4 colors of beading thread, very useful! I was able to get a bolt of each of these Pop Garden prints from FreeSpirit. The colors are amazingly cheerful and make me smile! 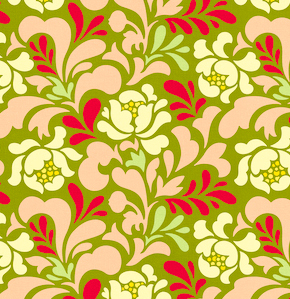 I am thinking of a bag with the floral front and center, accent with the swirl. 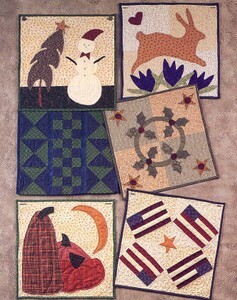 Or maybe I'll make pillows and a table runner..... mmmm... so many fantastic ways to use these! I've been a HUGE fan of the Need'l Love books since I bought this one years ago. The basket quilt is STILL on my 'to do' list. The books are made up many different projects from several designers. I am planning to carry all their books in the future! Christmas Tea Towel "Lovie Dovie"
Oh that sounds mushy but really... these Tea Towel embroideries from Crab Apple Hill are just TOO ADORABLE for words! I went CRAZY and bought tea-towels, red rick rack, more colors of perle cotton thread, the pattern, AND a FABULOUS red and black check for the store. I think you could do 2 or 3 sayings on each 'end' of the towel and that way you enjoy more of them at once! Just turn the towel to enjoy the rest! And guess what? All 12 are in the pattern... yeah! 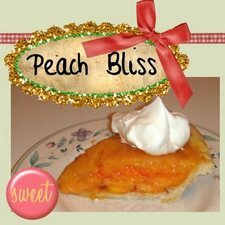 You can go to this page and purchase all things you'd like to have. Now is the time to start planning your 2009 vacation... really! So grab your girlfriend for a FABULOUS get way with me to the Caribbean in JANUARY ... yep JANUARY... when there is snow on the ground WE can be sitting by the pool soaking up the beautiful sunshine! Or How about a trip to this Summer to ALASKA... Join me the end of May ... where there is not only the most spectacular scenery around, but a quilt shop in every port... woot!!! And Seriously.... you need a MAJOR vacation. A trip where you will experience a whole other culture. A trip where you can see an amazing country, ride elephants, sit on a pristine beach AND make your own BATIKS... yes... you REALLY need to join me in Bali in Sept! Click the Links above for the schedules and get your name on the roster.. I'll see you soon! So what ELSE is going on???? 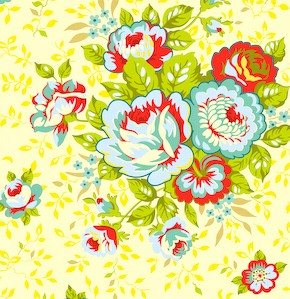 In Sept we will be starting a SeW AloNG! 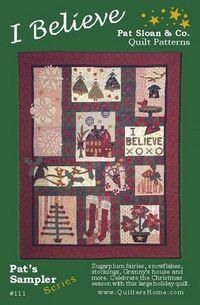 to make my pattern 'I Believe'. 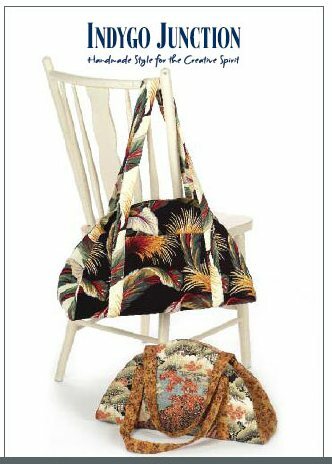 So grab your Folksy Favorite book or order the single pattern and join me! There will be posts each month on the blog ... photos of your work...and if you send me a photo of your block for the month, I'll put your name in the hat for a little goodie bag! --New Feature on my blog 'A Wednesday Window'... a more detailed look at a project, pattern, book or fabric grouping. --Designer Interviews... and yes... MORE!